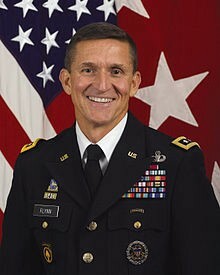 Flynn’s Interview With The FBI: Connecting the Dots. In my timeline of events related to the Flynn/Comey firings I pointed to Flynn’s January 24 interview with the FBI and in regards to how it went I said “connect the dots.” This article connects those dots. Former Acting United States Attorney General Sally Yates first went running to The White House Office of General Counsel on January 26th. She advised White House Counsel Don McGahn that Flynn was lying to Sean Spicer and the Vice President of the United States regarding the number and nature of his late December calls to the Russian Ambassador. She advised the White House Counsel that Flynn was a security risk because the Russians could blackmail him regarding those lies. It took the Trump Administration 18 days to fire the Defense Intelligence Director who was potentially compromised to the Russians. But the statements by Spicer and VP Pence repeating Flynn’s lies occurred nearly two weeks before Yates went running to the White House counsel. What took her so long? The answer is that Yates went to the White House just two days after the compromise risk, and the leverage the Russians could bring against Flynn, substantially increased. In regards to the FBI’s interview of Flynn on January 24th Yates said that she was asked by White House Counsel how he did, and that she refused to answer, which was appropriate. It is now clear how Flynn answered. He answered feloniously. As an attorney I had occasion to advise clients who told me the FBI wanted to interview them, or advise the clients (and their employees) that the FBI might approach them because of an investigation we became aware of. While these cases generally involved investigations related to possible Medicare fraud, the relevant law and procedures remain the same. Put simply, when speaking to a Federal official, acting in their official capacity, thou shall not lie. Sure it’s not perjury, but it is this lesser five year felony. I do not believe the FBI prearranged their interview with Flynn. While often done when the target already knows they are being investigated, from the investigator’s point of view requesting the interview in advance allows the target to get “lawyered up.” The lawyer will certainly attend the interview and can stop it if things are going in a bad direction. Had the FBI attempted to arrange the interview, Flynn would have almost certainly told his superiors the FBI wanted to interview him and there is no evidence that happened. So on January 24th an agent or agents (probably two) surprised Flynn. They approached him, presented their badges, identified themselves, said they would like to talk to him. Because Flynn was a target of the investigation they would have been required to, and almost certainly did, read him his rights. Flynn should have simply said he desired to talk to an attorney before answering any questions, but it appears he did not do that. Witnesses, particularly important ones, want to appear cooperative, the agents know that and take advantage of it. Happens all the time. The FBI had conducted the interview on the 24th. We got a readout from the FBI on the 25th, a detailed readout specifically from the agents that had conducted the interview . . . we felt that it was important to get this information to the White House as quickly as possible. Yates went on to emphasize that she had notes regarding the interview with her at the meeting with White House Counsel McGahn. She also stated while she did not discuss criminal prosecution of Flynn in their first meeting on the 26th, they did discuss such possible criminal prosecution with McGahn on their second meeting the very next day, the January 27th. January 27th was a Friday, Trump fired Yates on Monday, January 30th. It is clear the trigger sending Yates to discuss this matter with the White House Counsel was not the White House Press Secretary and Vice President repeating Flynn’s lies many days before, but rather Flynn’s interview with the FBI just two days before. If Flynn told the FBI the same story he told the Vice President then the Russian leverage against Flynn escalated from mere lies within the executive branch to a felonious false statement to an FBI investigator. The Russian ability to compromise Flynn increased exponentially when Flynn lied to the FBI. Recognizing that, Yates acted quickly to protect the security of the nation. The President of the United States did not, at least in regards to General Flynn. Trump would fire Yates two weeks before firing General Flynn. That he did do quickly.